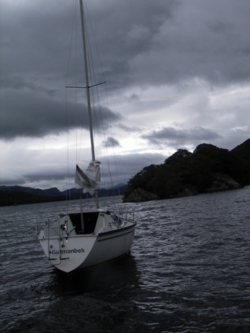 Sailing is another great way to enjoy the water. 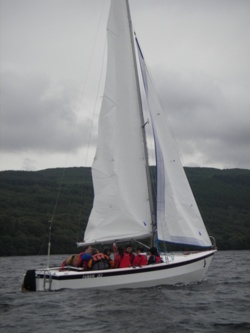 As a family or group of friends you can learn to sail together on a larger sailing craft or have fun in single person craft. 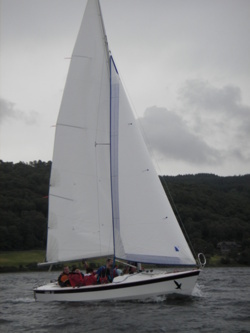 We have sailing venues within easy reach of Lancashire, Manchester and Cumbria, particularly around the North Lake District, South Lake District, East Lake District and the West Lake District areas, for example Coniston, Ambleside, Windermere, Keswick, Hawkshead, Kendal, Bowness, Ullswater to name just a few. 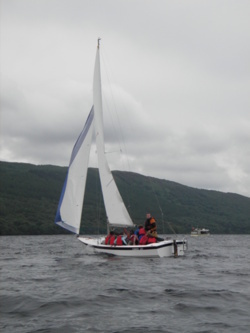 Our sailing instructors will teach you all you need to know to get you going. Please note that as with mountain bike sessions there is an extra hire charge for sailing. Charges will depend on the type of craft used. Please call or e-mail us for details. To view some of our sailing pictures please click here sailing images.